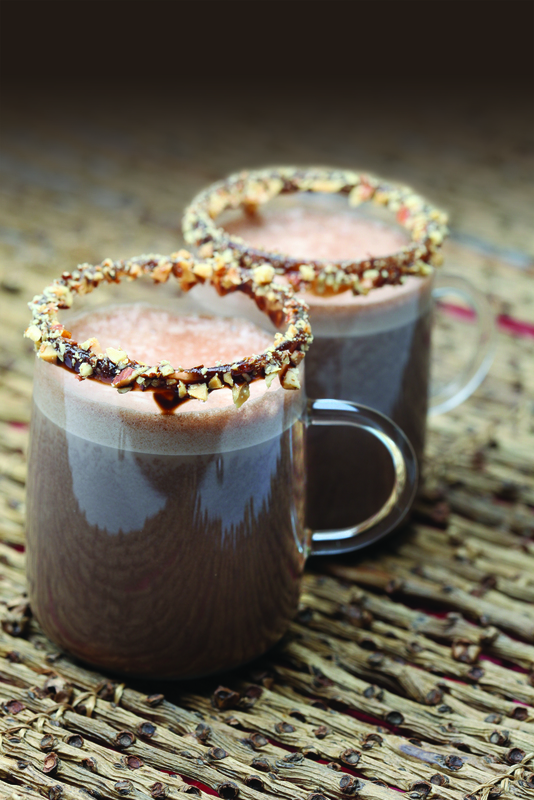 We’re nuts for almonds and chocolate, and thanks to this dairy-free Almond Mocha Steamer recipe, we can enjoy both flavors in one glass. Made in a Capresso froth PLUS, this steamer is rich, frothy, and has the perfect balance of almonds and chocolate. Place the frothing disk in your Capresso froth PLUS and ensure it is securely snapped inside the bottom of the frothing pitcher. Add almond milk to the frothing pitcher and press the Warm button. After two minutes, add the grated chocolate and cocoa powder. Replace lid and wait for the frother to automatically shut off. To garnish cups, pour chocolate syrup onto a small plate and pour crushed almonds onto a separate plate. (Tip: Diameter of plates should be larger than diameter of cups.) Dip rim of cup into chocolate syrup then dip rim of cup into crushed almonds. Fill cup with steamer and enjoy. Note: If you prefer to use dairy milk, simply add ½ teaspoon of almond extract with the milk. Classic Hot Chocolate is one of our favorite warm beverages. 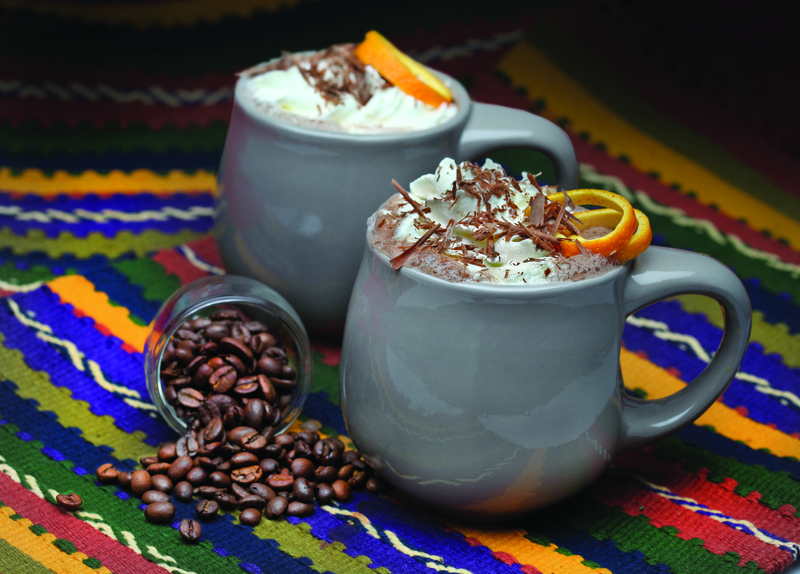 But in our recipe for Brazilian Hot Chocolate, we’re giving this beloved drink a twist by blending in the bold flavors of coffee, rum and orange. Try this rich and creamy drink after the kids have gone to bed. Place the frothing disk in your Capresso froth PRO and ensure it is securely snapped inside the bottom of the frothing pitcher. 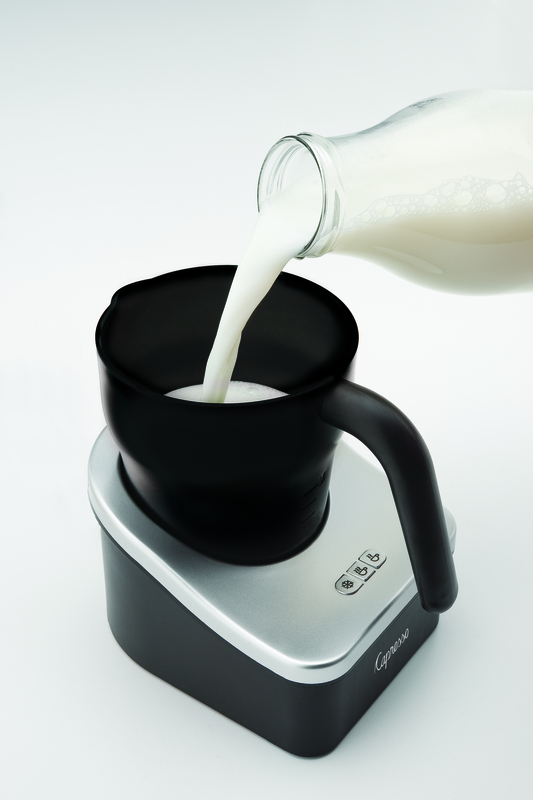 Add milk to the frothing pitcher and press the Hot button. After three minutes, add the grated chocolate. Replace lid and wait for the frother to automatically shut off. Pour hot chocolate into cup and add black coffee and rum. Garnish with a strip of orange peel, twisting the strip to release its oils just before adding it to the cup. Which brings us to one of the best investments a coffee lover can make: the Capresso EC100. With this $149.99 pump espresso and cappuccino machine, you can be your own barista at home and enjoy the full taste of espresso, cappuccinos and lattes any time you want. Combining the advantages of one-cup pod machines and traditional pump espresso machines, this full-featured machine can brew from either E.S.E. pre-packed espresso pods or pre-ground coffee. It brews one or two cups of espresso in seconds, and then it’s ready right away for frothing or steaming milk with its easy-to-use swivel frother. 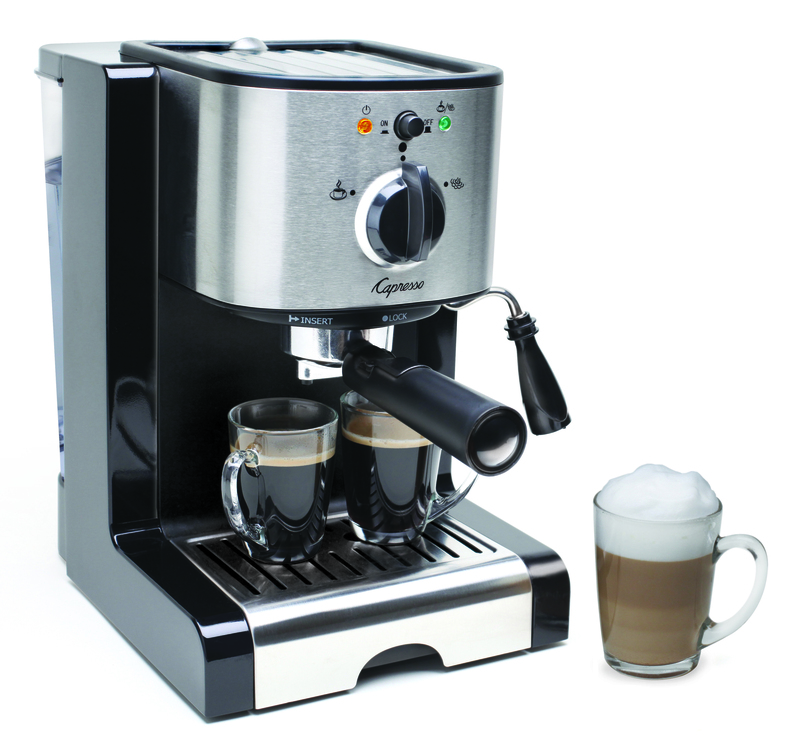 Click here for more on the Capresso EC100. 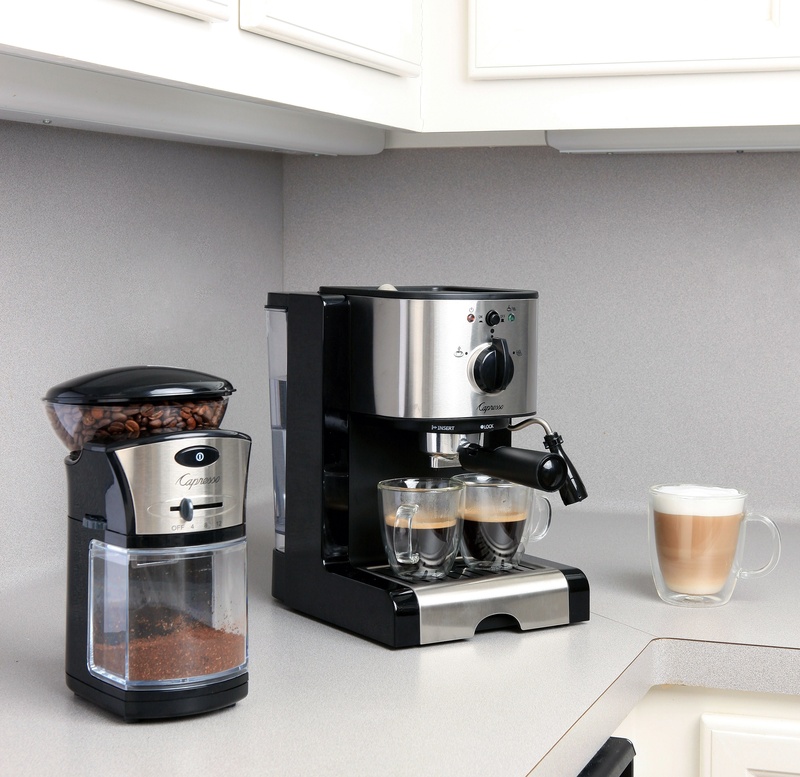 To bring more of the coffeehouse to your home, pair a Capresso Burr Grinder (Model #559) with the EC100. This professional-quality coffee grinder has a suggested retail of $49.99, just a sliver of the money you’ll save by brewing at home. We’re thinking of a dish that is rich, creamy and delicious. No, we’re not fantasizing about one of our froth PRO hot chocolate beverages. We’re thinking of mashed potatoes. Why? Because the froth PRO can be used for more than just beverage recipes. We add frothed non-fat milk to our mashed potatoes for a creamy texture without added fat. Not only can it enhance the texture of a mashed potatoes recipe, frothed milk can also keep the dish hotter when used in place of cold milk. Place the frothing disk in your Capresso froth PRO and ensure it is securely snapped inside the bottom of the frothing pitcher. Simply pour the milk called for in your favorite mashed potatoes recipe into the pitcher. Do not fill past the MAX F line which is 8-oz. Place lid and press the HOT button. Wait for frother to automatically shut off. Follow the recipe’s steps and add the milk to the other ingredients accordingly. Learn about other ways you can use your Capresso froth PRO by visiting our Tips & More page. Note: In addition to using frothed non-fat milk in our favorite mashed potatoes recipe, we also enjoy preparing the dish with a The Laughing Cow® Light Cheese Wedge in place of butter. Try adding a Light Garlic & Herb wedge wherever your favorite mashed potatoes recipe calls for butter.